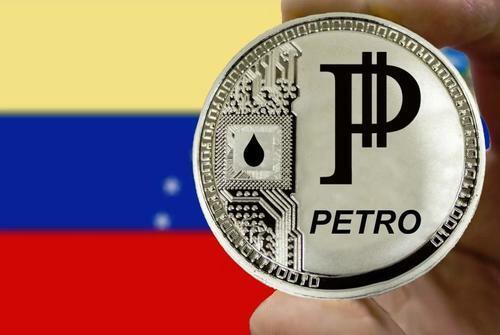 The case for cryptocurrencies sure looks to have gotten stronger over the past week and Venezuela's "Petro" looks like it may be the concept's first "beta test" on a country-wide scale. We recently reported that the Yale endowment had invested in a $400 million cryptocurrency fund focused on investing in digital coins and blockchain startup companies. Now, Bloomberg is reporting that the only way Venezuelans can get a passport is through the country's new "Petro" cryptocurrency, which is backed by Venezuela's oil and mineral reserves. This development in Venezuela could be viewed as a very real step away from Fiat currency and a very real step toward a permanent commodity-backed currency. 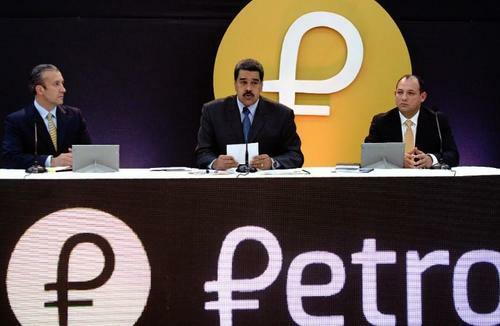 The government has priced new passports at 2 Petros, which is the cryptocurrency equivalent to 7200 Bolivars - or four times the national monthly minimum wage. For Venezuelans that are looking to get out of the country, passports are key. The United Nations says an estimated 5,000 people are leaving Venezuela per day because of the economic collapse in the country. Lack of materials and government corruption, coupled with the Bolivar's collapse, has made passports in the country a rare find. Getting out of the country is even more difficult because, as a result of the ongoing crisis, many airlines, including Avianca, Latam Airlines, United Airlines, Aeromexico and Deutsche Lufthansa, have stopped taking flights that originate from the country. Nicolas Maduro, the president of Venezuela, announced the new currency last week - about eight months after what was supposed to be its initial launch date. It is now scheduled to go on sale starting on November 5. Although cryptocurrencies have seen a precipitous decline in value over the last six months, Venezuela’s resorting to the idea after a true currency collapse could prove to be the first real test as to whether or not the concept, idea and execution can hold up for an entire country’s government. The world is watching. And so is Novogratz.